Welcome to my blog and thank you soo much for visiting! I hope you get some entertainment. My whole website is mainly about fashion, advice and life. I Share my experiences like a Diary. I have many goals and aspirations that I thought try and express it here for people to enjoy anywhere around the world. Growing up I’ve always wanted to be a model and actor. But found that to be challenging because their aren’t many roles right off the bat for the LGBT community. Instead of just dreaming, I decided to make my own YouTube channel, and find photographers to take my own pictures. However I want to express, and that’s very important to do in life. Express yourself however you desire. My motto has always been the same in that Confidence is Power, and Power is Confidence. Hey – thanks for the like on “Worst Week Ever” – much appreciated! Hi onetrueboy – great blog you have here! Thank you for liking my blog posts on Caribbean LGBT literature. I thought you might want to know that my site address has been changed to http://queercaribbeanlit.wordpress.com. Check it out! Very artistic picture. I like it! I have nominated you along with a few other people for the Liebster Award, an honor given to bloggers held in high esteem. I very much appreciate the things you blog about, the photos, your points-of-view, etc. Keep on with your insightful posts. Check out my nomination. That is very sweet! Thank you for the nomination. Hey, thanks for liking my Lounfewwar post. Like your stye! I’ve looked around a bit and like what I’ve seen. I admire someone so young with head on his shoulders and a sense of direction. I love recipes that use simple ingredients. This post is proof that simple is still best. In a nutshell. sesame oil, eggs and shrimp. How can you go wrong? Love it. 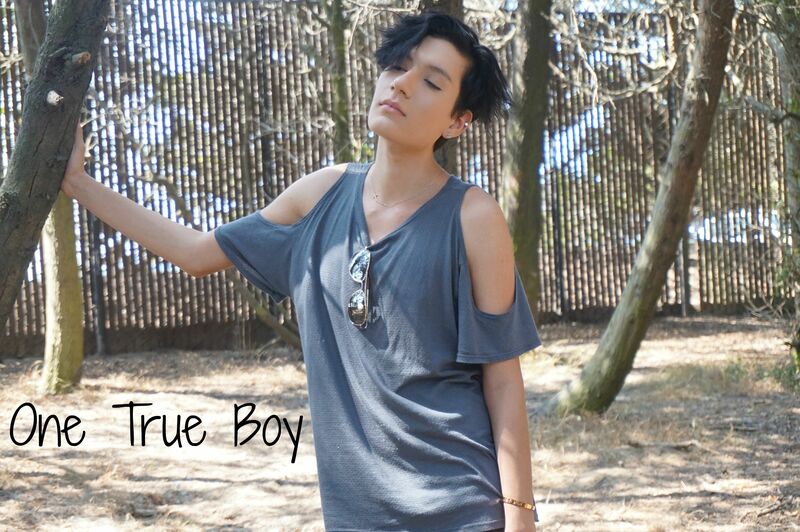 Thank you OneTrueBoy for visiting and liking one of my recent video blog posts. It was greatly appreciated. Blessings to you! Thanks for liking one of my posts. I’m following you too. As a photographer who loves working with models I’ll enjoy following your dream. Thanks!!! I’m glad you like it. I don’t think your a rambler, your a writer. And it is okay if you don’t know yourself completely and it baffles you, because hey,that’s what life is about- finding our-everchanging-selves. It just never ends. And nah, do not thank me for reading this because I ain’t doing so out of obligation* but because your blog genuinely interested me. I like the authenticity in what you write and thus reflected rawness. It is so imperfectly human that it’s intriguing and convincing all at the same time. Keep posting, would love to read more that comes from you.